Boat builders and the entire team at NEB were excited to hear results of the 7th edition of the hotly contested 600 mile sprint around the Caribbean. This years’ event saw the Multi-hull record shattered by over 6 hours when the Mod-70, Phaedo3 blazed across the finish line in Antigua. NEB built boats are big winners in the monohull fleet led by Rambler 88 (NEB’s latest launch) around the challenging course to capture line honors. Even as many boats were still out on the race course, provisional results indicate the overall win for the event under IRC rule as well as the CSA Caribbean rule was captured by another state of the art NEB built boat. 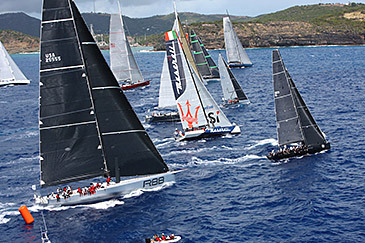 Hap Fauth’s JV 72, Bella Mente continues her success in offshore events finishing ahead of a strong international fleet. Next stop for Rambler 88 and Bella Mente on their Caribbean racing circuit is the prestigious Les Voiles de St Barth Regatta in April. 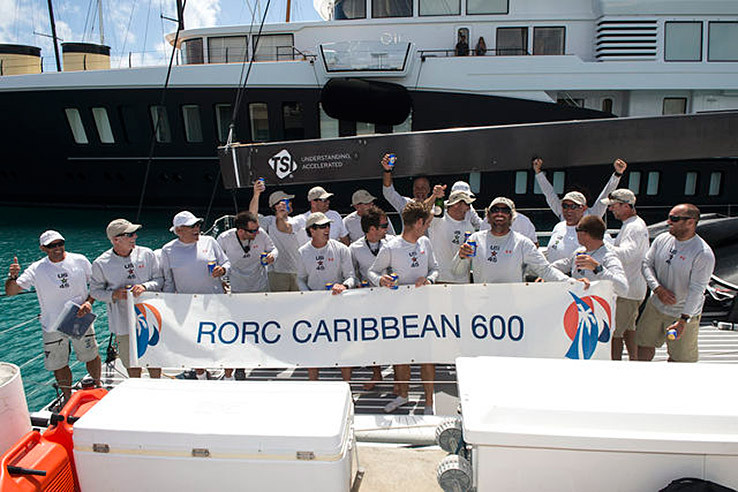 Watch these video highlights from Day One of the 2015RORC Caribbean 600, with incredible aerial footage of the high performance yachts in spectacular ocean racing conditions.